For the Castro family, football is not a hobby. It's a way of life. FARMERS BRANCH, Texas — Deep in the heart of Texas, football is not a hobby. In a quaint home, on a quiet road in Farmers Branch, lives the Castro family. 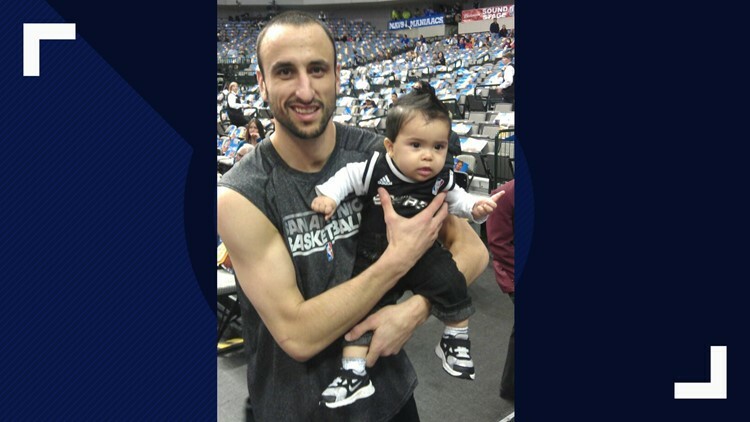 There you'll find 39-year-old Ezra, his partner Veronica and their two children, Ginobili, 6, and Lourdes, 3. 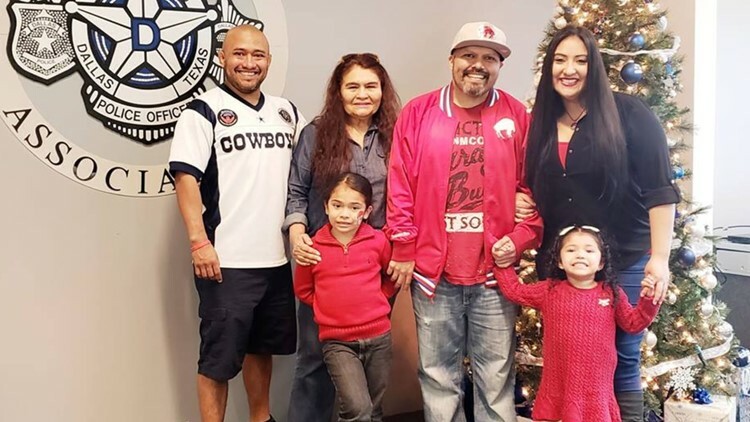 Ezra Castro (middle) with his children, mother (left), brother (far left) and partner Veronica (right). But, these Spurs fans are football fans first. However, Ezra is not a part of Cowboys Nation. This lifelong Texan is a die-hard Buffalo Bills fan. “People go fishing, people go hunting... My hobby is the Bills, dude,” he said. Growing up in El Paso, Ezra became a Bills fan in 1986 because he liked the logo and the red, white and blue colors. "My dad asked, 'Do you even know where New York is?' And I was like, 'Don't care,'" he said. Ezra is not just a fan. He's a superfan. 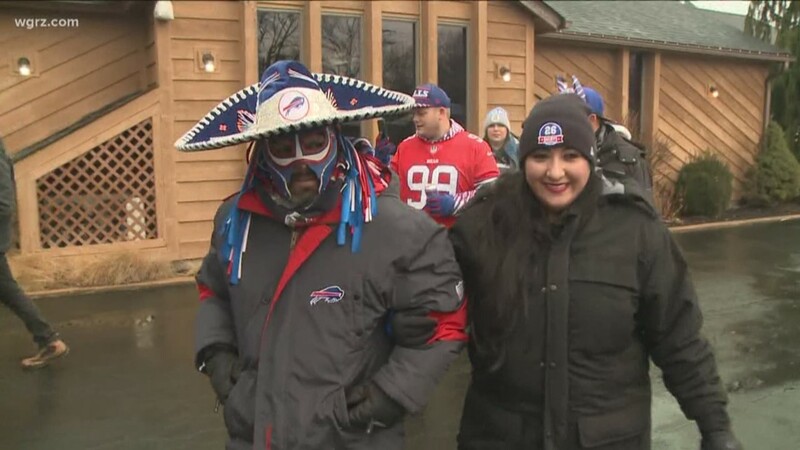 But, he's better known in Buffalo and the NFL community by his alter ego: Pancho Billa. The name is a play on words with Pancho Villa, the Mexican revolutionary general. The Pancho outfit is unmistakable. It features custom-made arm sleeves, a Bills sombrero and a custom-made luchador wrestling mask from Mexico. “It represents my Hispanic background, and my love for wrestling," Ezra said. Wrestling fans would love Bills tailgates because it's not uncommon to see people body-slam each other through foldout tables. But, Pancho doesn't get lost in the sauce. I ask, "How did you survive the Bills' 17-year playoff drought?" Pancho laughs. Laughter is the best medicine. On Sundays during football season, you can find the Castro family at the DFW Bills Backers Bar (The Hideaway) in Addison. Loulu (Lourdes) dangles from Veronica's arm, while Gino runs around the table in a #17 Josh Allen jersey. His favorite player. Ezra looks content. Delighted, even. ...and two weeks after Ezra had a mass removed from his spine. In the fall of 2017, Ezra and Veronica were on vacation at the Statue of Liberty in New York City when he felt his left arm go numb. Two-and-a-half weeks later, he was diagnosed. Metastatic adenocarcinoma pancreatic cancer. Stage 4. “There’s no remission," he said. "No cure." A month later, Ezra underwent spinal surgery. He was in a neck brace for weeks and unable to travel to the Bills' first playoff game since 2000. He was heartbroken. With Veronica by his side, Ezra receives chemo treatments every other week. His mother, who still lives in El Paso, takes the bus to Dallas nearly every two weeks to be with him. His brothers stop by, too. Ezra's body has not responded well to the first year of chemo. "Two to three years is what the doctor gave me,” he said. For 17 years, Ezra has worked as a mortician in Irving, Texas. Ezra cleans the embalming tools as two bodies lay 10 feet behind him, covered with white sheets. He describes the various tools and what they do. He recalls the worst cases he's seen and what he did to make them look at peace. Ezra doesn't work much anymore. He's not allowed to embalm because of bloodborne pathogens. He misses it. He was good at it. One of the best, he says. “Being in the business so long, I can easily talk about death," he said. "I got my funeral planned and everything." The room has an odor. Ezra is unaffected. He looks content. Delighted, even. I ask, "Are you afraid of death?" A living legend still living life to the fullest. 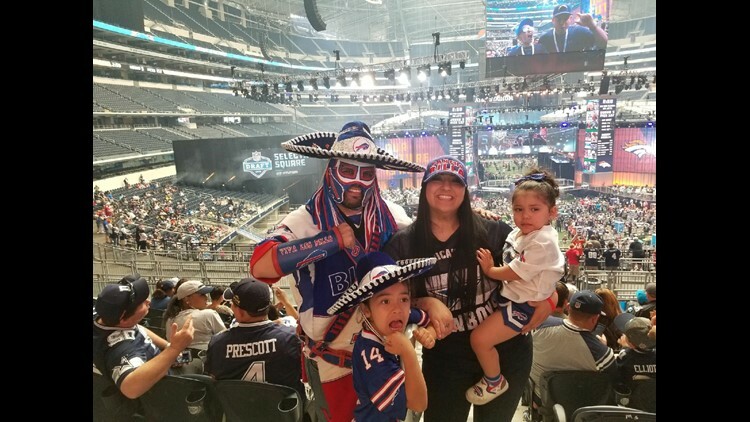 Pancho was brought on stage at the 2018 NFL Draft in Arlington, Texas to announce the Bills third-round pick. As his story reverberated through the NFL world, so did the invitations. He went to training camp in Rochester (New York) and attended Bills games in Buffalo, Houston, Indianapolis, Minneapolis and East Rutherford. “As much as I want to hold him and care for him, I have to set him free and let him live his life," Veronica explains, wiping a tear from her eye. A few days before the Bills' road game against the Jets, Pancho got a call from Bills head coach Sean McDermott. McDermott heard about Pancho's story of strength and perseverance, and invited him to speak at the team dinner the night before the game. The next day, the Bills beat the Jets, 41-10. On the Bills' final touchdown of the game, wide receiver Zay Jones celebrated by holding up a towel with “PONCHO" written on it. 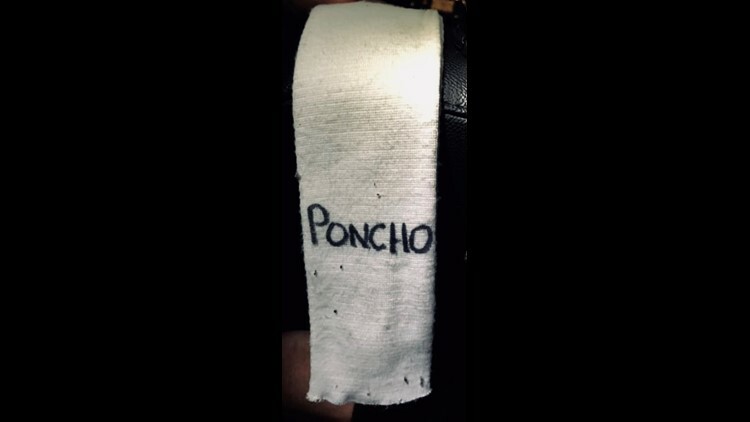 After the game, the Bills huddled up in the middle of the locker room and broke the huddle with, "1-2-3, Pancho Power!" “When my time comes -- and hopefully that’s many, many years from now -- I can at least say I changed a lot of people’s lives in a good way," Ezra said. There's another hour left in Ezra's chemo treatment. The music therapy guitarist enters. Ezra, his mother and Veronica sing the Buffalo Bills "Shout" song. A few times.